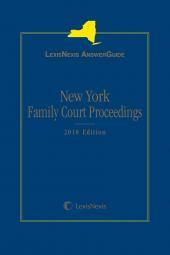 LexisNexis AnswerGuide New York Real Property provides puirchasing, leasing and financing answers, 65 checklists, 400 practice pointers, and references to necessary forms in one volume. The one-volume LexisNexis AnswerGuide New York Real Property provides New York-specific answers to questions arising around real estate transactions. It offers guidance for counsel representing purchasers, sellers, landlords, and tenants and outlines methods for obtaining financing for both residential and commercial properties. Topically organized, this portable tool provides quick, on-point answers in the planning phase, at the office, when dealing with lenders, during closing, or in court. 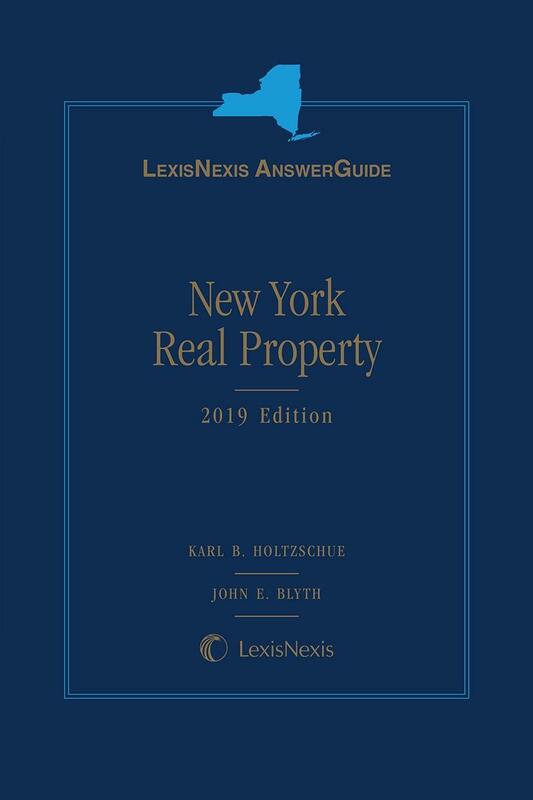 Authored by Karl B. Holtzschue, of New York City, with more than 30 years' experience practicing New York real property law in all aspects of real estate law and all types of realty transactions, with upstate commentary provided by John E. Blyth, Esq., LexisNexis AnswerGuide New York Real Property offers valuable insights for dedicated attorneys, civil practitioners, new associates, and paralegals. In Memoriam: John E. Blyth, Esq. New York for more than forty years. He earned his A.B. from Colgate University, his LL.B. from New York University School of Law, and a Doctor of Jurisprudence (Doctor of Laws) from Goethe University in Frankfurt I Main, Germany. Those who knew him best were graced by his intelligence, wry humor, and passion for life-among other things, he was a capable musician, and delighted in playing the organ, reportedly with great gusto, at his local church. He was devoted to his family, his students, his friends and his community, despite a busy schedule of teaching and practicing law. He corresponded with his students for years after their graduation, and was devoted to the Real Property Section of the New York State Bar Association, chiding, shaming, or strong-arming other attorneys to become involved in bar association activities. He was a Past Chair of the Real Property Law Section of the New York State Bar Association; a member of the Executive Committee of the International Law and Practice Section of the New York State Bar Association; and a member of the American College of Real Estate Lawyers. He was an active member and leader of the community. He will be recalled fondly for many years for his unparalleled intellectual prowess, and for the guidance he gave to his students and to real estate practitioners.